You have many choices when it comes to buying a tablet. One of the popular names you will likely see is Samsung. The company's Galaxy line of tablets has done quite well on the market. They use the Android operating system, giving them versatility and access to the largest app store available. In addition, Samsung's reputation for quality extends to these devices, making them something users feel they can trust in. The Galaxy Tab Pro 8.4 is an older tablet in this line, but it still provides a nice option for many users. Learn more about this tablet in our comprehensive review. We will look closer at the device and review its features and specifications. We will also compare it with a couple of similar tablets from other manufacturers. We'll finish up with the pros and cons, along with our final rating and recommendations for the Galaxy Tab Pro 8.4. We hope you can use the information we provide to make an informed buying decision. 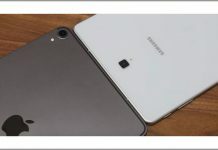 Samsung began production of the Galaxy line of tablets in late 2010, and all the tablets run on the Android operating system. Samsung has introduced various models under this line since the debut. The newer models are equipped with 3G and 4G capabilities. Some of the tablets offer large screens up to 10 inches. 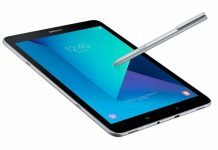 The newest model is the Galaxy Tab S3, which was introduced in 2017. The company has a line of smartphones also sold under the Galaxy line. The company has not always been on top of the industry. For years, it simply manufactured bargain-priced electronics. However, in the past two decades, Samsung has really upped its game, making a huge splash in smartphones and tablets. After a company-wide shift in focus in the late 1990s, Samsung took the market by storm, introducing innovative designs and products that are now leaders in the market. The Galaxy line of tablets and smartphones have forced the competition to rethink Samsung's status on the market. Consumers are enjoying all the benefits as others now compete to produce products that can match up to Samsung's mobile devices. The Samsung Galaxy Tab Pro 8.4 was introduced in 2014 and is part of the higher-end line of Galaxy products. Upon its initial release, the price for the device was set at $399. It was the first 8.4-inch tablet released by the company and was designed with the LG G Pad 8.3 in mind as the top competitor. This model may be more difficult to find because it is older and Samsung is pushing newer versions that have more capabilities, updated operating systems and additional technology. While this model is really not that old, a lot has changed within that time concerning technology. So, keep that in mind if you are buying this tablet. Similarly, since most people bought this when it was brand new on the market, it is difficult to gauge how it compares to current models and what your user experience will be. To understand this, all you have to do is look back on how great you thought the early smartphones were compared to what they are today. The difference is huge, but if you look at reviews from back then, it would lead you to think that old smartphones are still amazing. That is something to keep in mind if you choose to do further research and as you continue to read our review of the Galaxy Tab Pro 8.4. 16 GB Flash Memory, 3 GB RAM Memory. Wi-Fi ONLY, not 4G Compatible. One thing you will probably be concerned with and something people are always talking about is battery life. The Galaxy Tab Pro 8.4 comes with a 5.3-volt lithium ion battery. According to Samsung, you can get up to 10 hours of internet use, up to 127 hours of music play time and up to 12 hours of video play time on one charge. Of course, it is important to note those figures do not factor in other settings and combination usage of the device, so your actual use time will likely be lower. Looking at the physical tablet, the dimensions are 5.05 x 8.62 x 0.28 inches. The tablet weighs in at just 11.67 ounces, which isn't too bad. It is light enough to hold in one hand without quickly tiring your wrist quickly. Keep in mind that when this tablet was introduced, it was considered a higher-end product and part of the high-end Pro line within the Galaxy line. So, it was packed with features that were designed to make people take notice. It also was on the cutting edge of technology, providing access to things that previous tablets did not. As mentioned, when the Galaxy Tab Pro 8.4 hit the market back in 2014, it sold for a suggested retail price of $121.48. Technology like this depreciates rather quickly once that initial wave of buying is over and newer technology or features start emerging. With that in mind, you can now pick up this tablet for less than half the debut pricing. Best Buy is selling it for $121.48 brand new. You can also get used ones at steeper discounts or look for savings by getting a refurbished one. 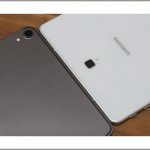 You may have to look harder to find this model since there are quite a few newer Galaxy Tabs on the market that Samsung wishes to promote above its older models. 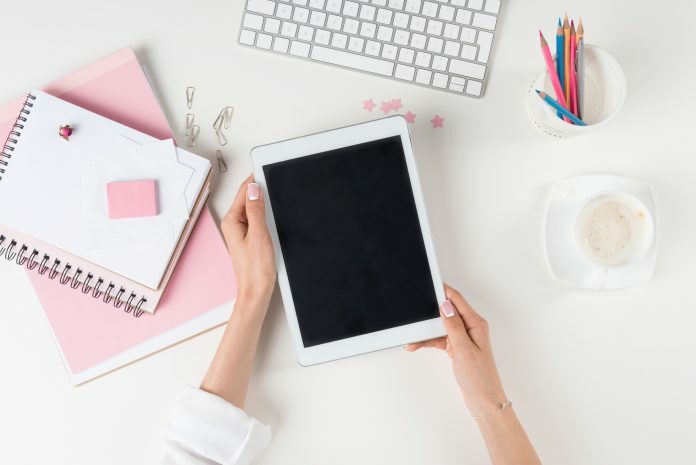 It is important to comparison shop when buying a tablet, or any other type of electronic device. You want to see how it stacks up, look at performance and make sure you are not missing anything important about the tablet before you buy. We have done some of the legwork for you by choosing two similar tablets to compare the Galaxy model to. We went ahead and choose models that are comparable in price even though features, size and other factors may not be comparable. Keep in mind that may mean they, too, are older models. The goal is to help you see what you can get for the same price. We give some ratings for a quick comparison and then a little blurb on each to highlight important information. The biggest disadvantage of this tablet is that it is running an old operating system. This means some lags and issues with some apps because they are designed for newer versions of Android. However, if you are looking for quality, then this tablet delivers with really good customer reviews speaking to the quality and reliability of the device. This tablet has a detachable keyboard for some extra usability. It also is running on the newer Android 7.0 Nougat operating system, which means better function and no app issues. However, Insignia is not a major manufacturer like Samsung. It is known for more budget products, so there may be some sacrifice in quality, and there are complaints about slow processing speed. Still, consumers give fairly good reviews for this tablet when it comes to value for the price. This tablet is also running on a newer OS, Android 6.0 Marshmallow. Asus is also a pretty well-known brand, but still falls in the budget brand category, so there will be some trade-offs. The price point is the best selling feature of the tablet, but the memory is lacking, and there is no way to move apps to external storage. However, consumers do say it is well-built for the price. 0Even though the Galaxy Tab Pro 8.4 is an older model from this line, Samsung made a quality product that continues to stand up well. It is well made and offers functionality that makes it very usable and applicable when compared to newer models. We feel this tablet is best for someone on a budget who wants quality above all else. 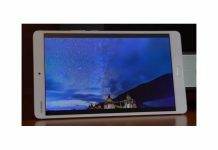 If you are the type of person who does not care about having the latest and greatest technology, but you do want to avoid paying super high prices, then the Galaxy Tab Pro 8.4 is an excellent choice. There are far more positive things to say about this than negative. The older operating system is the biggest issue; however, updates may be available to negate this issue. Some apps may not work with it, though, so be aware of that if apps are vital to you. Overall, though, the tablet is fast and the screen provides a clear, sharp picture, making it wonderful for watching videos. 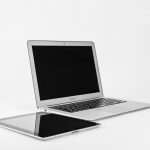 It is also easy to use as a backup for a laptop for such tasks as creating documents or sending emails. You get your money's worth with this tablet because it is retailing for $121.48 new with prices being lower for refurbished units. Just make sure that if you buy refurbished that it is certified and that you get some type of warranty in case you get a defective unit. Beyond that, we feel good recommending this tablet as an excellent value.